In order to promote commons data platforms for digital sovereignty, first we need to investigate and articulate what characterise it, and to do so from a multidisciplinary perspective. And to reach that purpose, our tasks include to address the theories and debates around data-driven society and the sharing economy in order to provide an overall framework of commons oriented models, address the conceptualization and delimitation of commons based models in contrast to other non-commons oriented models, and the intersections between juridical/legal, economical, governance and public policy dimensions, as well as integrating and triangulating the analysis and results of the other tasks. Col·lacy is related with DECODE platform project, which results will impact on this second project, defining the theoretical framework and the conceptualization of commons oriented sharing economy that will provide guidelines for the development of this European project, and its legal and economic models. Here’s a first draft published on the DECODE blog about the analytical framework of the democratic and procommons qualities of collaborative economy organizations. 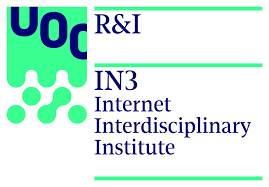 This is the website of the Dimmons research group at the Internet Interdisciplinary Institute (IN3) in the Open University of Catalonia (UOC), hosted by Pangea ethic and solidarity Internet.